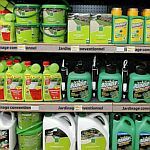 While the chemical nature of pesticides has changed dramatically in the past 50 years, the toxicological considerations associated with pesticide exposure have become much more complex. Even the basic toxicological routes of exposure have been enhanced. For example, some foods have been genetically modified to possess pesticide-like properties. Although generally regarded as "safe" for consumption by consumers, the long-term toxicological impacts of these products are unknown at this time and remain a point of controversy among healthcare professionals (GMO's are currently banned in some countries for this reason). The toxicologist must address all such complexities to properly assess and characterize pesticide exposures. 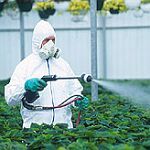 Pesticide poisoning can be difficult to evaluate due to short half-lives, metabolic factors, circumstances of exposure and a lack of human epidemiological studies. Each pesticide has specific toxicological properties which must be assessed according to the available scientific evidence and the peer-reviewed toxicological literature. The expert toxicologist must apply these resources objectively to demonstrate or refute causation to reasonable toxicological certainty. Thus, a toxicological assessment based on multiple lines of evidence can make a significant difference in providing scientifically credible toxicological opinions. It is not possible to provide a comprehensive overview of pesticide toxicology in this brief section; however, the following paragraphs provide a general outline of the basic classes of pesticides with which TCAS has gained extensive toxicological experience, performed numerous toxicological exposure assessments, produced written reports and provided expert testimony over a period of more than 28 years. Click to view other types of hazardous substances. Show all results for "Fungicides"
Toxicological considerations with respect to fungicides generally depend on the concentration, dose and duration of exposure to the particular substance contacted, inhaled or ingested. Historically, fungicide poisoning in the U.S. was far more common than at the present time. Some poisonings occurred as a result of consuming seed grain treated with organic mercury or hexachlorobenzene (both of which were subsequently banned as seed grain treatments). Most fungicides currently in use in the U.S. have relatively low toxicity in humans as they tend to be inefficiently absorbed and methods of application are such that exposure circumstances are greatly reduced from historical norms. Nevertheless, systemic poisonings do still occur in spite of recent U.S. EPA and U.S. FDA regulations designed to protect both manufacturers and the general population. It should be noted, however, that fungicides have many possible uses and they can be ingested via other substances than food. For example, TCAS was recently retained to conduct an investigative toxicological risk assessment of a particular fungicide proposed for use in medical marijuana cultivation. Please contact our office for additional information. Show all results for "Herbicides"
TCAS has conducted causative investigations associated with herbicides, performed toxicological assessments and/or provided expert testimony subsequent to being retained by defendants, plaintiffs, prosecutors, state attorney generals and/or public defenders' offices. Please contact our office for additional information. Show all results for "Insecticides"
TCAS has extensive experience assessing insecticide exposures and has regularly offered toxicological opinions and conducted exposure investigations. A recent insecticide exposure case in our toxicological case studies summarizes the events relating to the death of a man with a history of seizure disorder who was fatally exposed to a particular insecticide in his unventilated basement apartment. (Dr. Sawyer was retained by plaintiff in this instance). Please contact our office for additional information. Show all results for "Poison Baits"
Poison baits are a class of pesticides most commonly used to control rodents and varmints. Although many products have been on the market for decades, new products are regularly emerging and regulations governing their use are becoming more stringent. For example, U.S. EPA recently took action18 to remove 12 D-Con™ brand mouse and rat poison products from the consumer market as they failed to comply with required safety measures to protect children, pets and wildlife from accidental exposure to rodent baits. The active ingredients (brodifacoum, bromadiolone, difethialone and difenacoum) are very toxic and persistent and have been found widely in non-targeted wildlife.19 Baits containing chlorophacinone, diphacinone, warfarin, cholecalciferol and bromethalin are less toxic, but any rodent bait has the potential to harm non-targeted wildlife. Recent regulatory changes imposed on poison bait products containing persistent pesticide ingredients (previously marketed to residential consumers) are now available only for commercial use by licensed professionals. TCAS has significant experience in assessing and solving homicide matters and assessing the toxic health effects of pesticides and poison baits, as well as providing written reports and expert testimony in accordance with federal, state and local regulations. Please contact our office for additional information. U.S. Environmental Protection Agency, "Recognition and Management of Pesticide Poisonings: Sixth Edition," 2013. 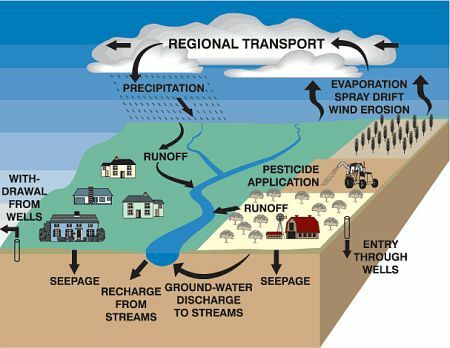 USGS, "Pesticides in Ground Water - Converse County, Wyoming, 2003-04," February, 2014. U.S. Environmental Protection Agency, "Recognition and Management of Pesticide Poisonings: Fungicides," 2013. U.S. Environmental Protection Agency, "Pesticide Poisoning Handbook, Section III: Herbicides," 2013. U.S. Environmental Protection Agency, "Pesticide Poisoning Handbook, Chapter 10, Chlorophenoxys," 2013. U.S. Environmental Protection Agency, "Pesticide Poisoning Handbook, Chapter 11, Pentachlorophenol and Dinitrophenolic Pesticides," 2013. U.S. Environmental Protection Agency, "Pesticide Poisoning Handbook, Chapter 12, Paraquat and Diquat," 2013. U.S. Environmental Protection Agency, "Pesticide Poisoning Handbook, Chapter 13, Other Herbicides," 2013. Voice of America, "WHO Agency Says Insecticides Lindane, DDT Linked to Cancer"
U.S. Environmental Protection Agency, " Pesticide Poisoning Handbook, Section II, Insecticides," 2013. 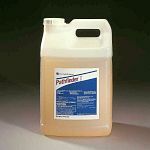 U.S. Environmental Protection Agency, "Pesticide Poisoning Handbook, Chapter 4, Pyrethrins and Pyrethroids," 2013. U.S. Environmental Protection Agency, "Pesticide Poisoning Handbook, Chapter 5, Organophosphate Insecticides," 2013. U.S. Environmental Protection Agency, "Pesticide Poisoning Handbook, Chapter 6, N-Methyl Carbamate Insecticides," 2013. U.S. Environmental Protection Agency, "Pesticide Poisoning Handbook, Chapter 7, Organochlorines," 2013. U.S. Environmental Protection Agency, "Pesticide Poisoning Handbook, Chapter 8, Biologicals and Insecticides of Biological Origin," 2013. U.S. Environmental Protection Agency, "Pesticide Poisoning Handbook, Chapter 9, Other Insecticides and Acaricides," 2013. U.S. Department of Agriculture, AgResearch Magazine, "Applying Fungicide"
Texas Commission on Environmental Quality, "Foliar-Applied Herbicides"
"To produce a scientifically credible assessment, the expert toxicologist must determined whether a pesticide exposure was sufficient to produce a particular health effect based on the objective evidence and the prevailing peer-reviewed toxicological literature."